Need to get your office supplies and papers organized? Or, maybe for you staying organized and keeping everyone on task can be as simple as a family message center. Simplicity is key in small spaces. A cozy nook needs only the essentials for your needs when space is limited. 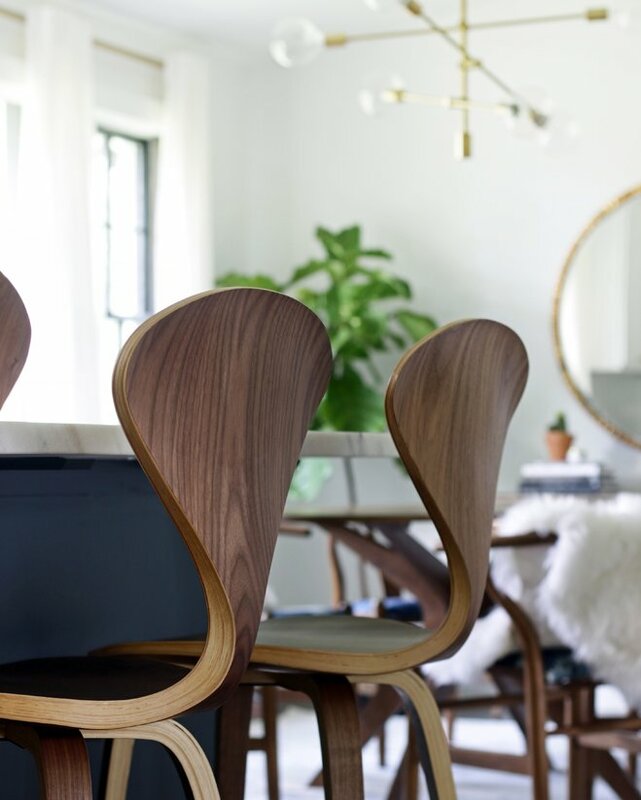 Get inspired with these ideas. 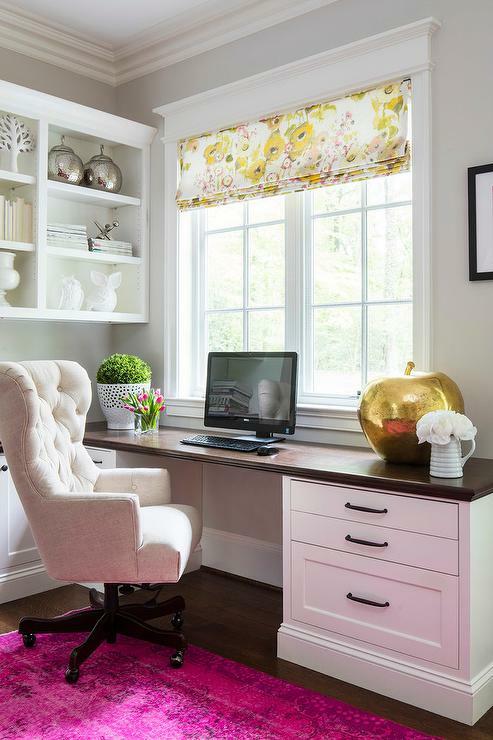 This built-in home office/message center in the kitchen offers plenty of storage to stay organized by maximizing space with features such as built-in pigeon holes for mail. Above the pigeon holes a small pin board holds clippings and messages. There is adequate space for files and supplies. 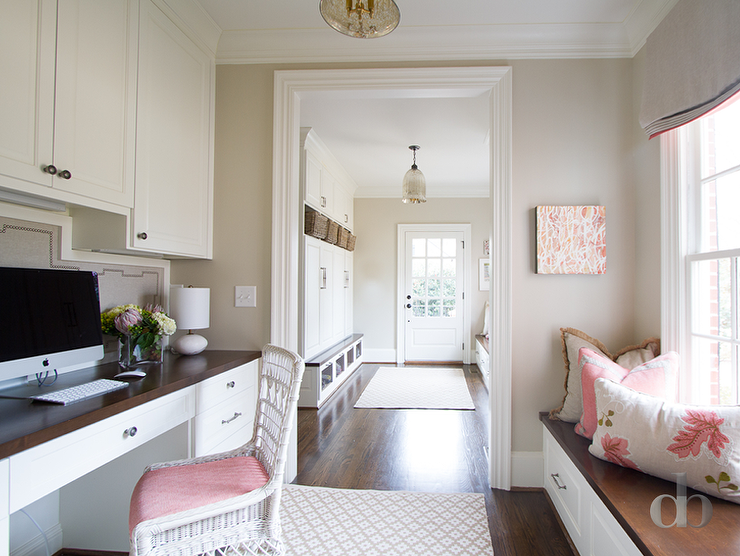 This corner message station features white upper cabinets with pigeon holes over a white corner desk with polished nickel hardware and butcher block countertop. 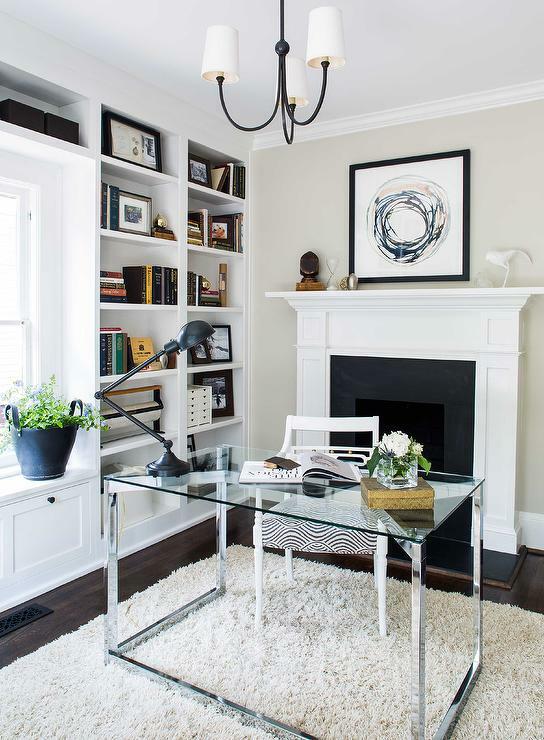 The space is small but there is a place for notes, mail, and the family's essentials. 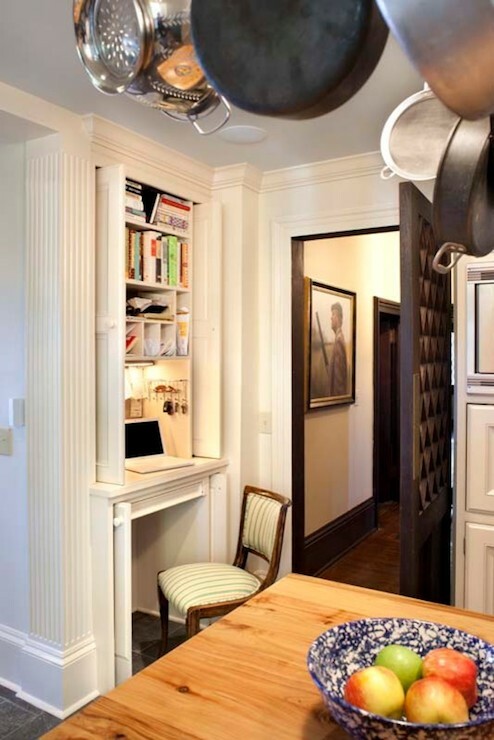 If you don't want the clutter associated with a small office in your kitchen, conceal it. 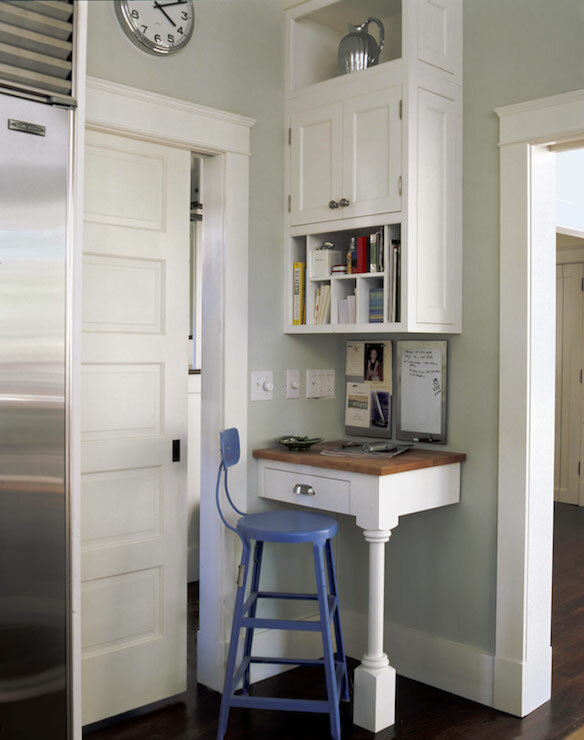 The work/message station in this kitchen is concealed by cabinet front pocket doors. 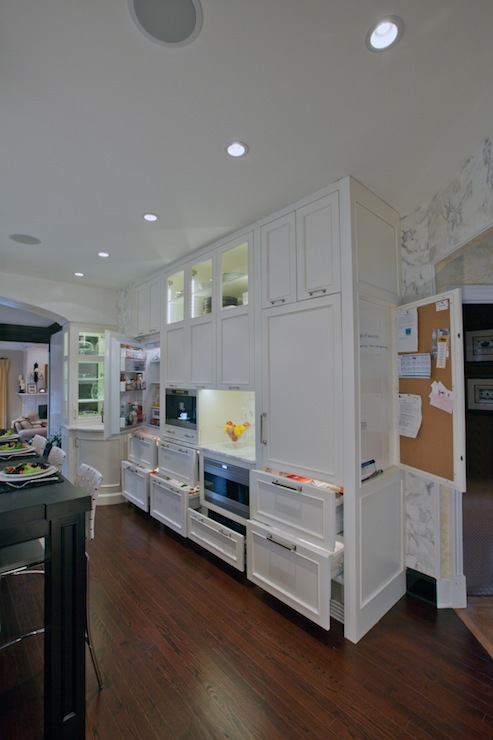 This fantastic kitchen design with floor to ceiling cabinetry features a swing out cork message station that holds reminders and shopping lists at the end of the cabinets. 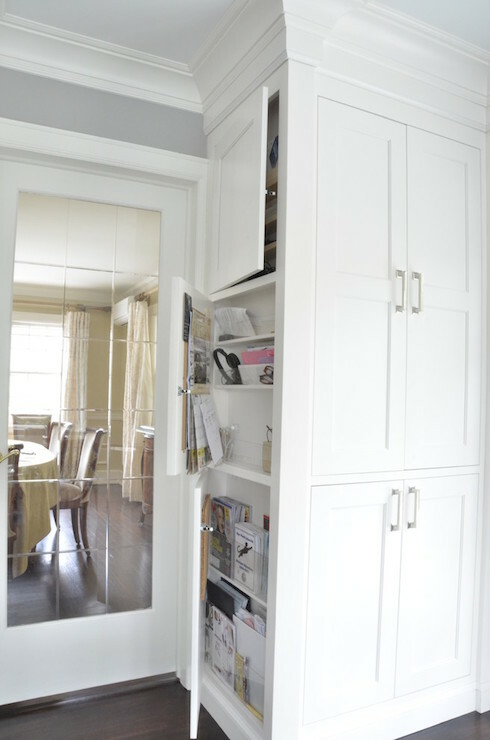 This pantry is storage for charging cell phones and keeping the kitchen free from clutter. 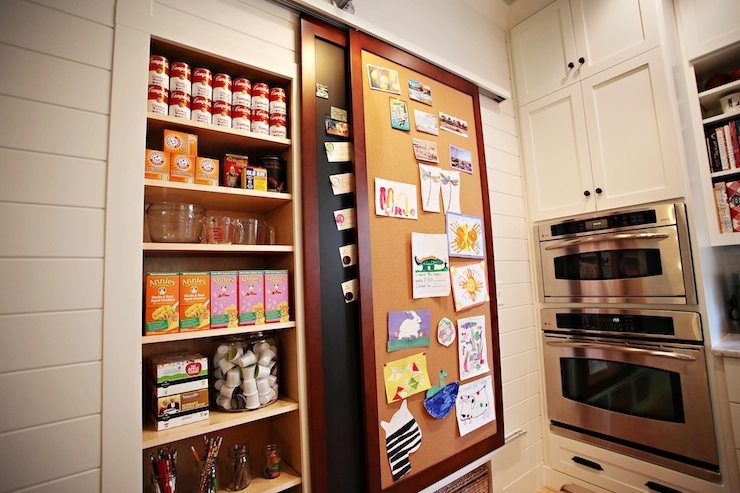 The family's message center, consisting of sliding corkboard and magnetic chalkboard doors, hide the pantry in this kitchen. 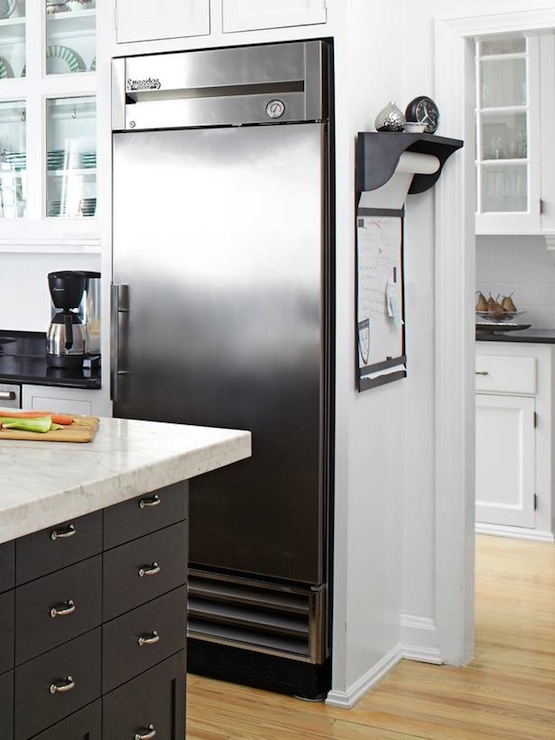 For a simple idea this family has a message center with shelf and handy roll of butcher paper for note taking on the wall around the corner from the fridge in their kitchen. 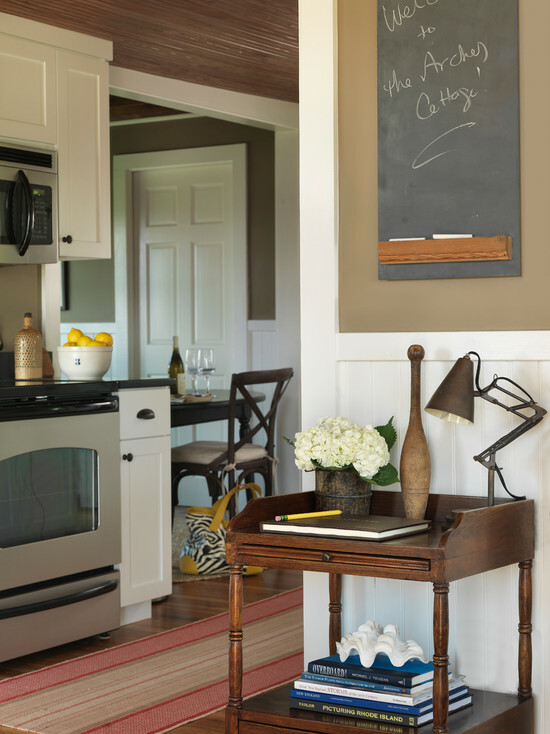 A small chalkboard hangs on the wall above a small antique side table for handwritten messages. 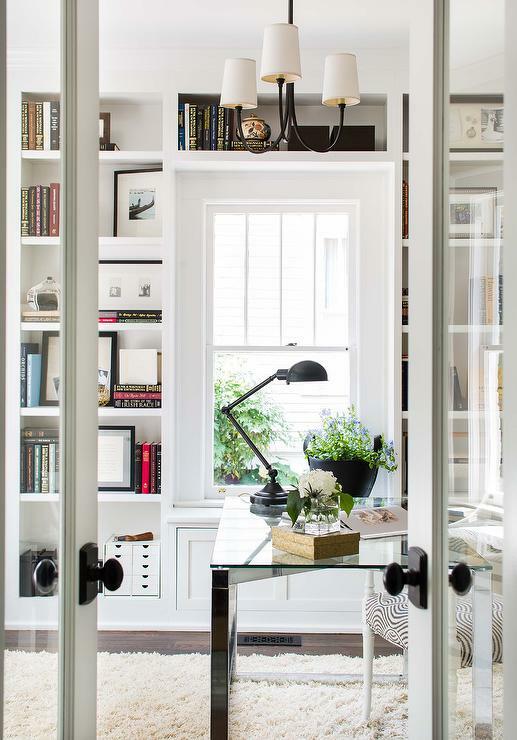 This is a small closet turned bright office.